Clicking on link above will take you to PayPal. If you are making a donation on behalf of someone other than yourself, please indicate in the “special instructions for sellers” section. You may be contacted for additional contact information. Dentistry For All accepts donations through Canada Helps. Clicking on the link above will take you to CanadaHelps.org. If you are making a donation on behalf of someone else, please indicate in the “special instructions for sellers” section in PayPal who you would like to make the donation on behalf of (you may be contacted for additional contact information). Clicking on link below will take you to PayPal to continue making your donation. Thanks! Dentistry For All accepts donations through Canada Helps. Clicking on link below will take you to CanadaHelps.org to make your donation. Changing lives through dental education, prevention, and corrective treatment. We donate our time and services, freely give our experience and knowledge to others who are not able to access care. We are committed to helping people in impoverished regions of the world maintain a better quality of life through better dental health. In the Spring of 1995, Dr. Dennis Bedard and his daughter Nicole travelled to a remote region in the Western Highlands of Guatemala, with nothing more than a case of anesthetic and a few forceps – intent on doing something for the poor in the area – bringing dental care to those who had never before seen (or perhaps heard of) a dentist. Comitancillo is in one of the poorest and most remote regions of Guatemala. Nestled in the hot and arid mountains, in the department of San Marcos, Comitancillo is a municipality of about 60,000 people, who, after 37 years of civil war had just began to realize that they just may after all, be able to live their lives without fear…. 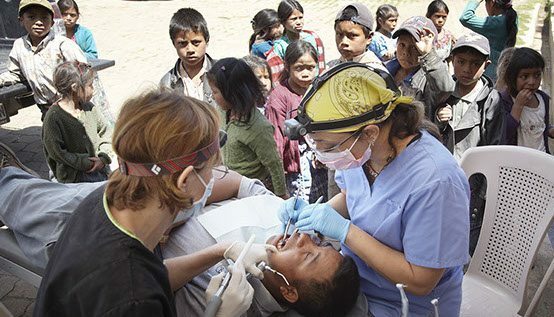 That first trip, in partnership with a nursing group from Edmonton, lead to the formation of The Society for Third World Dental Care – Now called ‘Dentistry for All’, an Alberta-based multi-national volunteer organization, sending volunteers annually to The Philippines, Nicaragua, and Guatemala. In 15 years, 30 missions have been completed, and over 12,000 people have been treated, with nearly 30,000 procedures performed. 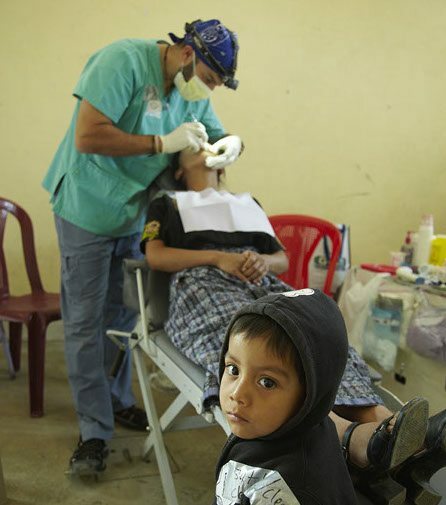 Dentistry For All has sent approximately 300 volunteers to work over nearly 100 volunteer weeks, treating those in some of the most remote and poor communities in the world, where dental care is either non-accessible or simple unaffordable for those whom need it most. Over the years, DFA has formed relationships and partnerships with regional development organizations, local NGOs, dental organizations, university programs and countless dental equipment and supply companies, in order to continue to maintain and provide the highest quality of care to those whom we provide dental treatment to. We are a non-profit, 100% volunteer-run and supported organization whose members are dedicated to providing dental education, preventative, surgical and restorative care to the poor in numerous developing communities around the world. 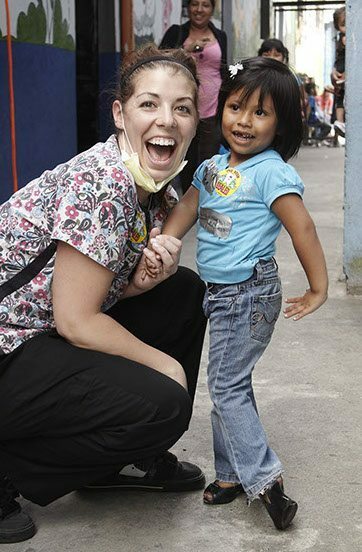 All dental volunteers cover the cost of their own travel, fundraising assists in purchase of necessary equipment and supplies, volunteer sponsorships and other expenses related to the trip. I consent to The Kids Dentist collecting my details through this form.